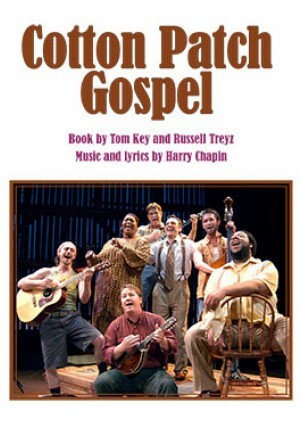 This "Greatest Story Ever Retold" is based on the book The Cotton Patch Version of Matthew and John by Clarence Jordan in which the Gospel is presented in a setting of rural Georgia with country music songs, the final and perhaps best work of Harry Chapin. As this Gospel begins, they sing that "Somethin's a-brewin' in Gainesville." Herod is the mayor of Atlanta and, inevitably, Christ is lynched by local thugs only to rise again. Drama critics loved this show and so did a broad spectrum of religious commentators. "Outstanding show! We've never had a better response -- from audience or cast!!! Easy to stage, entertaining for all ages." "Highly entertaining and moving -- the gospel of Christ made relevant." "A light hearted, yet poignant journey through the Gospel of Matthew set in the contemporary south (Georgia). Harry Chapin's score adds to the "jubilation" of the Gospels as well as the "flip-side" moments -- the times of loss and loneliness Jesus came to save us from." "Cotton Patch Gospel is a delightful retelling of the story of Christ mixing humor and poignancy. The script is well written and fast paced and, mixed with the country music motif, it is spiritually enlightening." 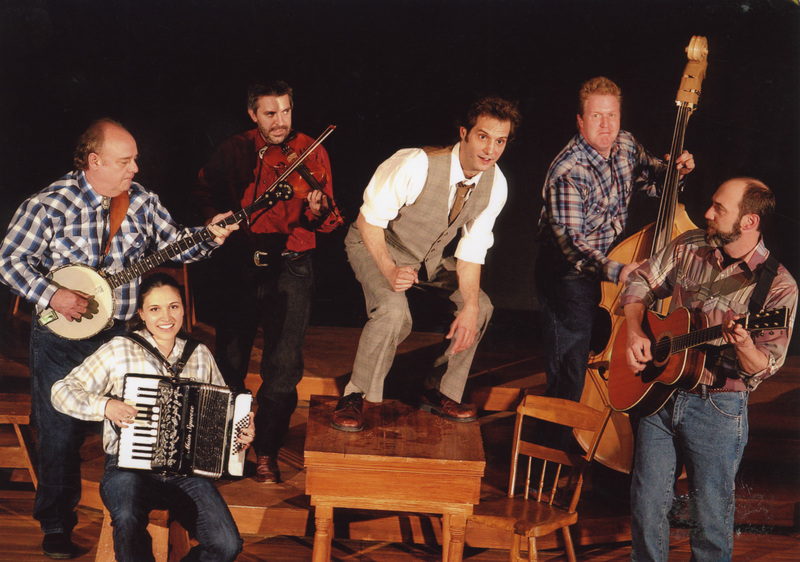 "Cotton Patch Gospel is the perfect musical for Midwestern audiences. People loved it." "Cotton Patch Gospel met all our requirements for our theatre group at our church: Christian message; music was beautiful -- you cannot pick a favorite Harry Chapin song; and funny. We had way too much fun working on this for three months!" "... After laughing and crying through 90 minutes of hysterical humor, I was stunned to realize that I had just experienced a deeply moving, boldly conceived, professionally executed performance that had both my brain cells and emotions running in high gear. In addition to being a funny parody of the Southern personality, Cotton Patch Gospel is a profoundly moving religious experience." "Simply delightful foot stompin' experience with a message. A great tool for expressing the "good news" to any audience." 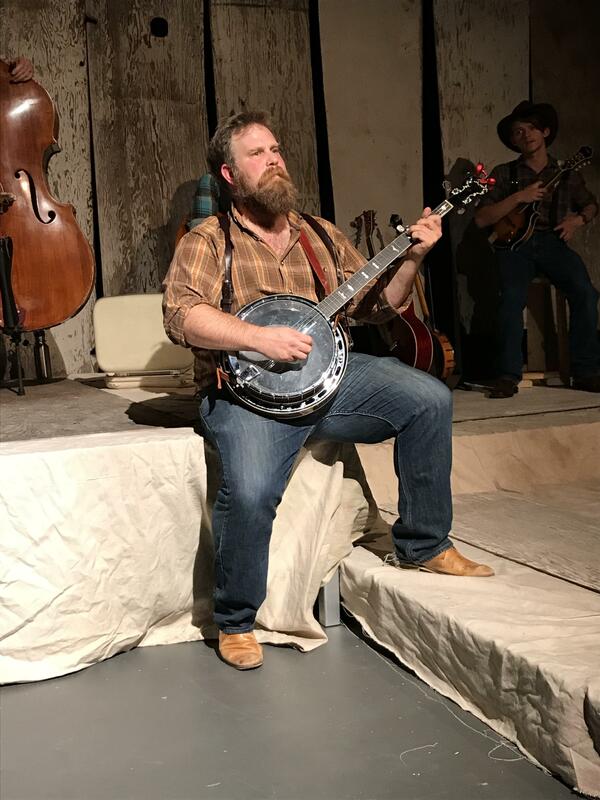 Review by Cindy Peterson, Mid-America Nazarene University, Olathe, Kan.
"Cotton Patch Gospel is just what the typical American community theatre is looking forÑexciting music, flexible casting, minimal settings and broad audience appeal. Performers and audience share in the fun!" 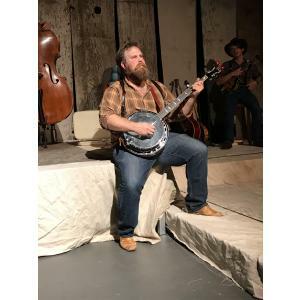 Review by Neal Lewing, Port Polson Players, Polson, Mont. "OutstandingÑthis is the second year we've produced it." Review by Henry M. Haskell, South Carolina Repertory Company, Hilton Head Island, S.C.
"Cotton Patch Gospel is wonderfully entertaining. With high energy and loads of laughs, the gospel message is presented in a way that is irresistible. It truly is "the good story."" "Cotton Patch Gospel was the best play I have ever directed. For our Christian school and an all boys' school, it was perfect! The kids had a great time rehearsing the play and loved performing it. So much flexibility with characters makes it a perfect school play for any size school!" Review by Dianna Lavoie, Hargrave Military Academy, Chatham, Va.
"I love it. This is the second run of the show I've been involved in, and the humour and poignancy of the show never ceases to amaze me." "This show was a perfect match for our needsÑa small, flexible cast, one bare-bones set and terrific music and dialog. Our kids really enjoyed doing this show and the audience loved it!" Review by Kathryn Janicek, Erie High School, Erie, Ill.
"Cotton Patch Gospel was fun to work on and inspiring to watch. It's the kind of production that continues to stir creative ideas in everyone involved, throughout the rehearsal process. By the time the lighting designers added their piece, the actors picked up on it like it was a new vision and the results were amazing. 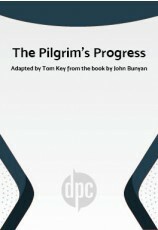 This production on the life of Christ set in 20th century Georgia is captivating, humorous and stirring. The only complaint is that the two-hour show went by too fast." "A play that resonates what every audience joyously celebratesÑthe truth of the Gospel." "This musical has it all. It's fun, it's touching, and it's powerful. It's full of those "special" moments, both in word and music. Just pure delight!" Review by Vicki Kendall, Aldersgate United Methodist Church, Huntsville, Ala.
"The actors, musicians and audience had a wonderful time with Cotton Patch Gospel. We used an ensemble of 12, plus one actor for the role of Jesus, and a bluegrass band of 6. The audiences were very responsive and affirmative." Review by John Miller, Neffsville Mennonite Church, Lancaster, Pa.
"This is my fourth time to direct it. I always enjoy watching a cast come together and be touched by this show. Always well received, and a blessing to the audiences." Review by Jerald Cohagan, Olivet Nazarene University, Bourbonnais, Ill.
"If you cannot have a full band, at least try to have a bass player, in addition to the keyboard player. We used keyboard, guitar and bass, and the bass really brought it all together." "Read the real Gospel, too." "The only difficulty we had was adapting the music for female voices. (We had four guys and five girls.) You need to be very careful in the way you go about this." Tip by Kathryn Janicek, Erie High School, Erie, Ill.
"The show calls for a table, a boat and a pulpit (if possible). We designed a set piece that is all three of these in one. Upright it looks like a basic table (strong enough for Jesus and/or Matthew to stand on). On its side it becomes a boat with a bench/seat inside for Rock and Andy to go fishing in and can conceal Rock's attempt to walk on water. Up on one end it becomes a pulpit for the TV evangelist to pound on effortlessly. If you would like the plans I could make them available. Pastor Bob Wang (262) 859-2540." Tip by Stacey Clifford, Somers Community Church, Somers, Wis.
"Less is more. We did it with four platforms, period." Tip by Andy Mollema, Benzie County Players, Frankfort, Mich.